We are delighted to share with you the 2014 edition of our annual newsletter! 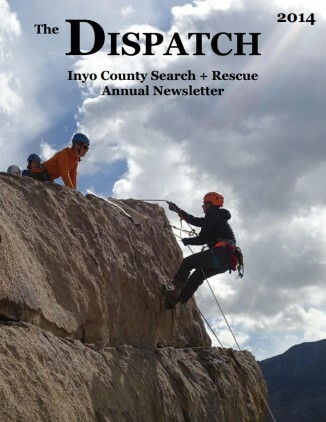 Clicking on the photo below will take you to a pdf version of The Dispatch where you can read member profiles, interviews with our Coordinators, a selection of mission reports from the year, and a couple of longer articles about search management and solo travel. The newsletter also features beautiful full-color photos. If you would like a paper copy, please write to inyosearch AT gmail DOT com and we will put one in the mail for you! Posted in 2014, Missions Reports, Most Memorable.